Birkenstock Madrid is now in lightweight EVA material. 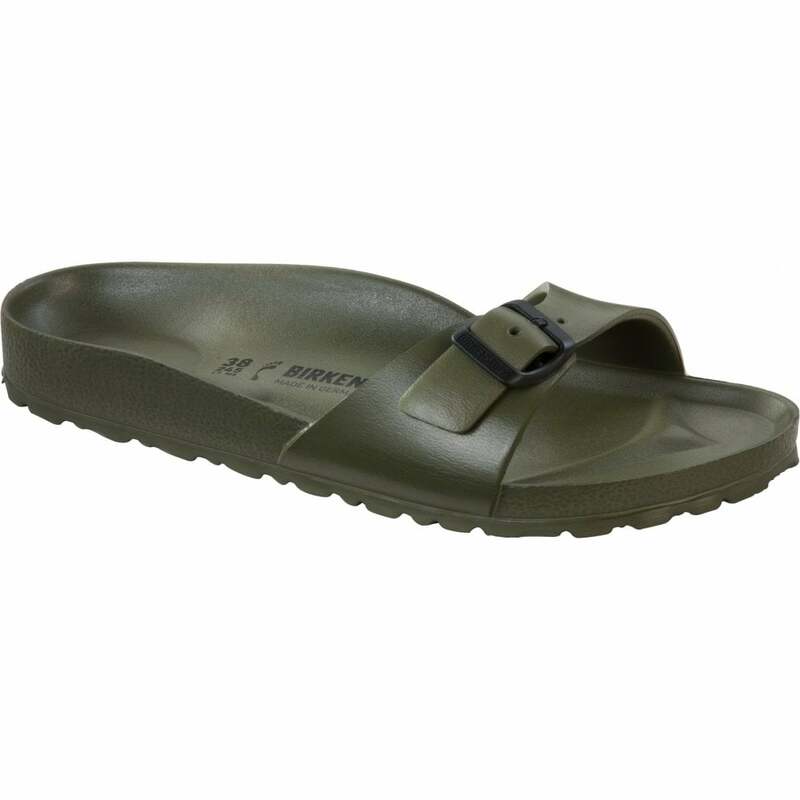 Ethylene-vinyl acetate (EVA) is a lightweight and comfortable material, making these birkenstocks uber light and easy clean, perfect for travel and fun. The beloved BIRKENSTOCK classic, Madrid, can now also be worn in wet areas, thanks to the use of high-quality EVA plastic. This makes the versatile sandal lightweight, flexible and washable, whilst still featuring the anatomically shaped footbed. The exact 1:1 copy of the classic, which was launched onto the market some one hundred years ago, is made in Germany with the same BIRKENSTOCK quality for which the brand is renowned. The traditional brand BIRKENSTOCK has unveiled a new take on the world-renowned classic, Madrid. The perfect copy of the 50-year-old original is now also available in high-quality EVA (ethylene vinyl acetate), thus promising a truly unique experience for the feet. After all, EVA material is extremely soft and light and also has a shock-absorbing effect. Uneven ground underfoot is automatically compensated and every step is cushioned. Another advantage is that EVA can easily be washed. This makes the sandals sturdy yet comfortable companions for wearing in a wide range of locations, from wet areas to the home, garden and beach. The EVA models are not only light as a feather, but also offer the time-tested BIRKENSTOCK comfort. The anatomically shaped footbed supports the foot's natural rolling movement and provides a secure grip where needed. The footbed also pampers feet with a little wellness treatment. With every step, the toe bar triggers a gripping reflex that tenses the toe and calf muscles. Then they relax again. This is how the continuous tensing and relaxing of your muscles exercises your feet and legs and stimulates your blood circulation when you are walking or running. BIRKENSTOCK places the highest quality demands on all of its products. This also applies to the EVA sandals, which are made exclusively in Germany and are subject to strict quality controls. Through this, the traditional brand stands as a prime example of German production. The Madrid EVA sandal is currently available in black and white. Other colours and models will follow.